Updates to Brenda K.'s profile since your last visit are highlighted in yellow. I have 3 children, two boys 20 / 17 and a girl 13. I went back to college and I am now working on my BSN for nursing at Penn State. I will graduate in the Spring of 2016. Brenda K. Wilt Willett has a birthday today. 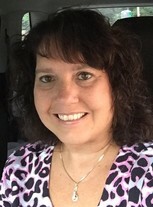 Brenda K. Wilt Willett updated profile. View. Brenda K. Wilt Willett changed profile picture. Brenda K. Wilt Willett added a photo to profile gallery.